showers, your own supply of spa products in a “spa bar,” a coastal view and many other touches designed to soothe your body and soul.Book a tee time at either of the two championship eighteen-hole golf courses. Both courses are breathtaking with views of the crashing surf, but the Ocean Course is somewhat easier and therefore more relaxing to the non-pro. When you’re teeing up on either 17th hole, you’ll undoubtedly be thinking, “Life doesn’t get any better than this.” And that thought might last an hour or two until you find yourself in the capable hands of one of the resort’s brilliant massage therapists at the sprawling Ritz-Carlton Spa. After your massage, you’ll find there is so much more to do on premises. Ride a mountain bike along the coast at sunset or hike down to the beach. Have a round of tennis or a plunge in the pool. Enjoy s’mores by the outdoor firepit. 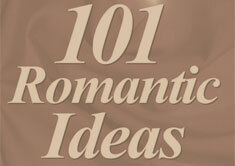 Or soak in the surfside Jacuzzi by sun or moon or firelight. No doubt you’ll work up an appetite. Hunger is not an option at The Ritz Carlton. If you splurge on club-level privileges, you’ll be treated to five complimentary food and beverage presentations each day. And as much as the light offerings there are delicious and satisfying, be sure to dine one evening at the nautically inspired oceanfront Navio restaurant. The tasting menu, artfully paired with wines by the dedicated sommelier, will give you the best overview of the ambitious and interesting menu. Sit by the window and stare at the waves or choose a little elevated curtained booth for two. Close the curtains and flirt to your heart’s content. The waiters will warn you when they want to bring your next delectable course. Sunday brunch at Navio is another meal that will indulge you to the max. In addition to the expected omelets, bacon, prime ribs and pancakes, you’ll find fresh sushi, succulent crab legs and shrimp, outstanding Chilean sea bass and sole, several dozen divine desserts and all the caviar you can eat. Slumber is not a problem in the sensational beds. Honeymooners will be seduced by a special rose-petal turn down, bottle of champagne and daily special deliveries of fruits and figs, chocolates and other special treats. If you can bring yourself to leave the grounds for an afternoon, take the short drive into town where the ten or so blocks of charming Main Street is a lovely place to gawk and stroll, pet a dog and buy a trinket. Two fine restaurants in town are Cetrella and Pasta Moon. 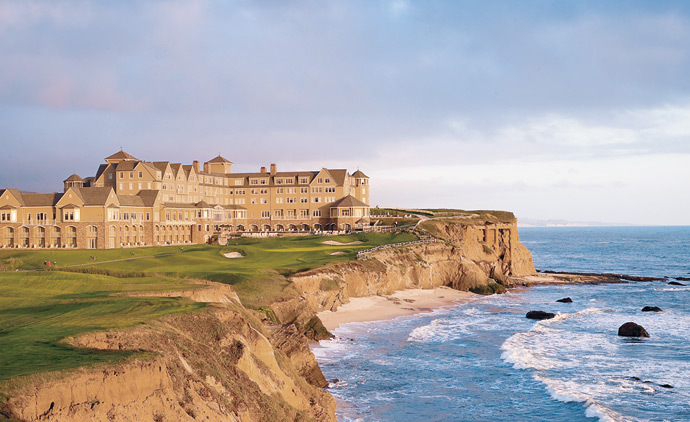 Or, if you’re up for more excitement, The Ritz-Carlton may seem like a world-away from the city, but it’s only 30 miles from busy downtown San Francisco. Chances are, if you’ve chosen The Ritz-Carlton as your getaway, you’ll be in a quieter mode. The entire San Mateo County that’s home to The Ritz-Carlton has enough activities to keep the most adventurous traveler busy. From wineries to pumpkin patches to goat farms to nature preserves, to museums to quirky taverns like Cameron’s on Route 1, there’s much to enjoy just south of San Francisco. Whether your pleasure is sea kayaking, horse-back riding, whale watching or just plain relaxing, it will be hard for you to plan a better vacation anywhere on Earth.